Chili sauce is a delicious condiment that I love to serve with shrimp. You can make it spicy, mild or sweet depending on your tastes, though I like mine a bit spicier. It’s made from tomatoes, chili peppers, onions, vinegar, allspice, and I like to add some red pepper flakes and a little brown sugar for a sweet taste. Perhaps you’re used to calling it: Sriracha~ That’s right; chili sauce is Sriracha. It’s the same thing, even if the recipe is slightly different. The truth is that if you want to make it, you need the basics to get you there. Chili sauce can be served with anything. It’s a versatile ingredient you can store in your refrigerator for a dinner party, cocktail night or a girls’ night in (my favorite!). 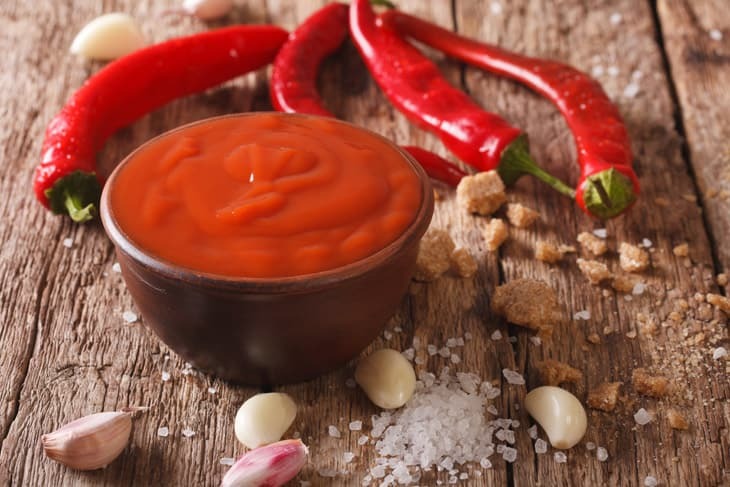 Chili sauce needs to be prepared with fresh ingredients for the full flavor. Depending on your tastes, it can be smooth or chunky style. I prefer mine chunky for an added bite and texture. Let’s make our sauce! 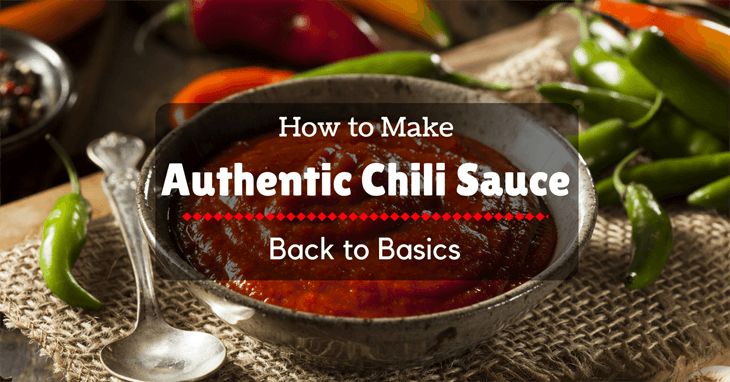 Chili sauce can be rather simple to make. You can find the items easily in your local grocers or online. I’ll show you what you need, explain the items, and get you on track to making your sauce! When getting to the cookware, I mention nonreactive cookware. What this means is that some acidic foods react with certain metals. 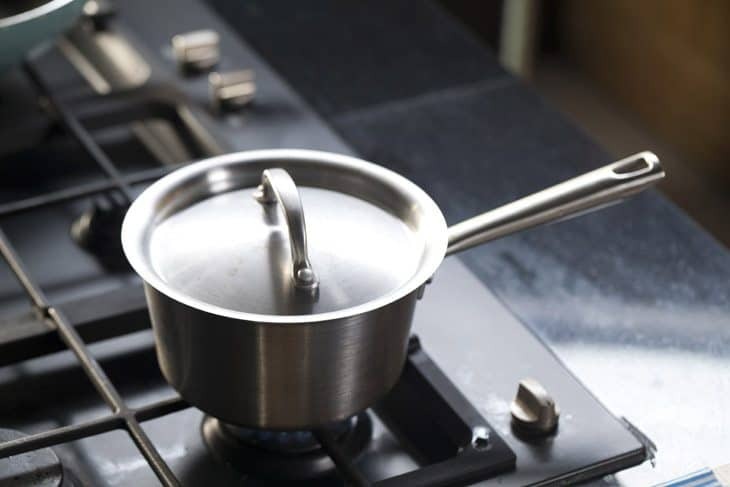 When avoiding reactive cookware, you should try using stainless steel, ceramic and glass cookware. This will prevent any metal from leaking into your food and from staining or darkening your pots and pans. Sometimes these are called poblanos or pasilla chilies. 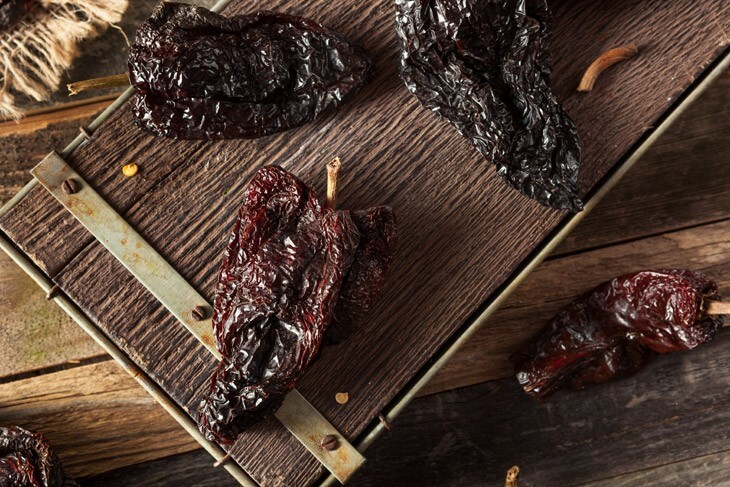 Ancho chilies are a mild pepper that has excellent flavor and are easy to work with. These chilies will not make your eyes or skin burn due to their heat, however, try not to rub your eyes after messing with the seeds and peppers. The water provides a liquid to mix the ingredients and soften the heat of the peppers. Make sure to use the amount called for. Otherwise, your sauce could be too runny or not mix well. Garlic tends to add a whole new dimension of flavor to chili sauce. It gives off a spicy aroma and adds a bit of spice to the sauce. 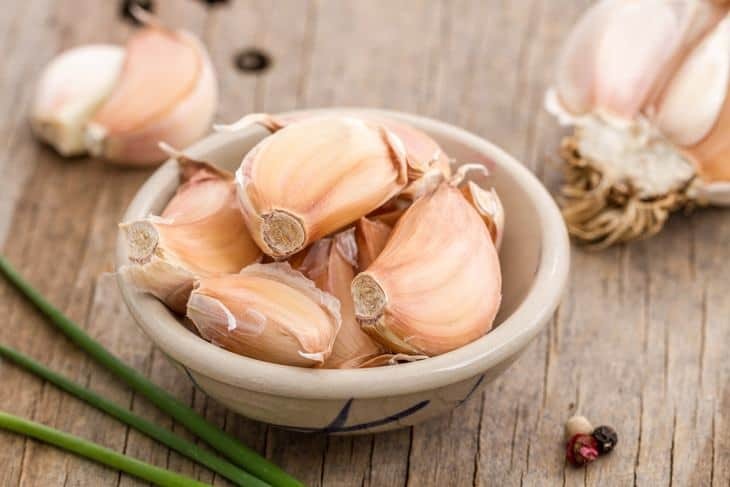 Garlic is commonly used as a flavor profile to add depth to dishes. 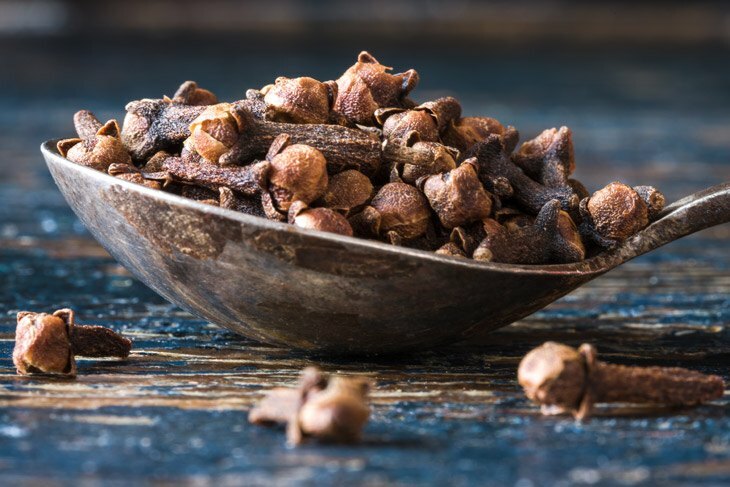 If you aren’t a fan of cloves, try allspice instead. Cloves are a flower bud produced by a tree that is native to Indonesia. Cloves provide a rich, aromatic flavor profile. Cloves can overpower a dish if too many are used, so use sparingly. Cloves are mostly used in sauces, pickling, canning, and stewing. Cloves help to offset gamey flavors such as venison, bison, and rabbit meat. If you are using allspice instead, you will pick up notes of cinnamon, cloves, and nutmeg. This spice is used as a substitute for any of the three seasonings and will add a depth of richness and flavor to your meals and sauces. Peppercorns come in different colors depending on their maturity and taste. 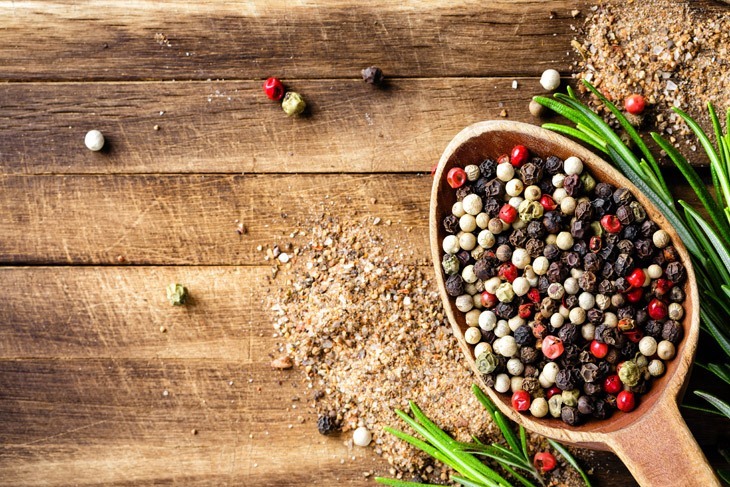 Black peppercorns are rich in manganese, iron, potassium, and so much more. Black peppercorns are the most mature and pack a spicy flavor. Pepper tends to lose its flavor if cooked for too long, so make sure it’s added at the end. 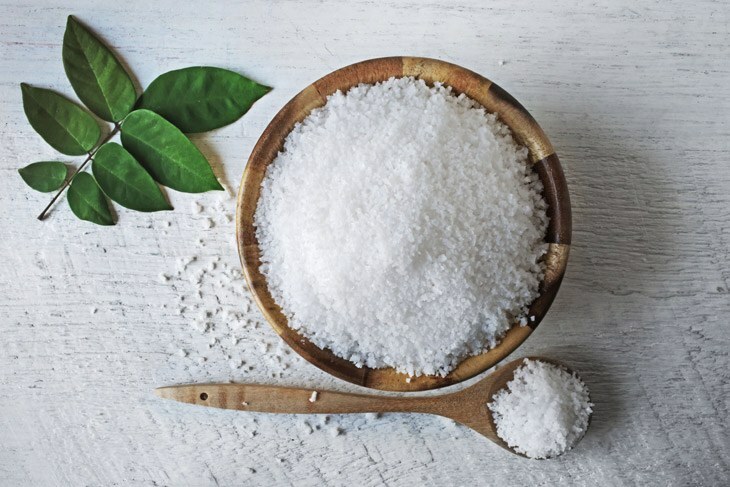 Salt is a common seasoning that brings out the flavor of the foods it’s seasoning. Salt is a seasoning that is added to almost every meal and allows for the flavors to come together but shines individually as well. Salt is a basic seasoning that you should always have on hand. 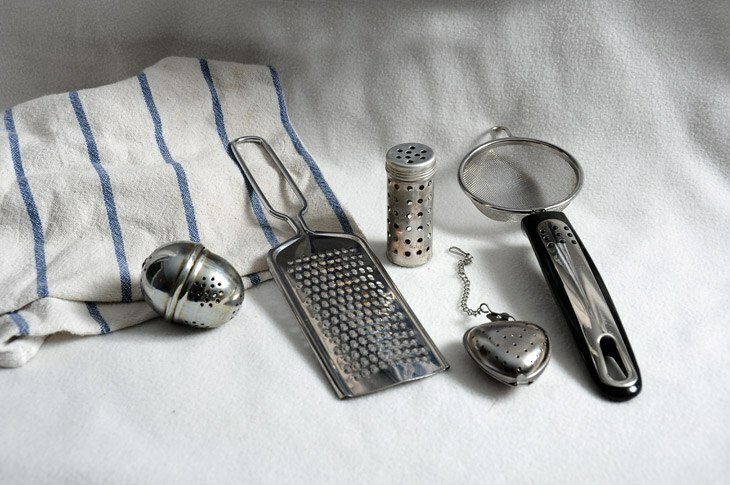 It’s great for seasoning food, cleaning products, creating scrubs, and using around the house. Olive oil is made from whole olives by pressing them. 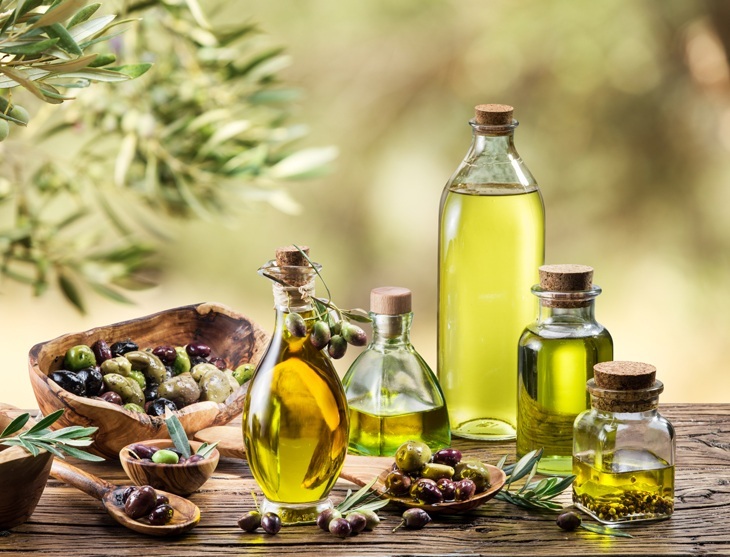 Olive oil isn’t just used in cooking, but also in home remedies, bath supplies, and cleaning supplies as well. It’s great for your skin, healthy for your body, and have been known to reduce the side effects of cancer. It’s a rich nutty flavor with earthy undertones. The oil is usually a greenish tint and comes in glass bottles. Olive oil is also produced ethically and is environmentally friendly. A paring knife is a short knife with a small, short blade. 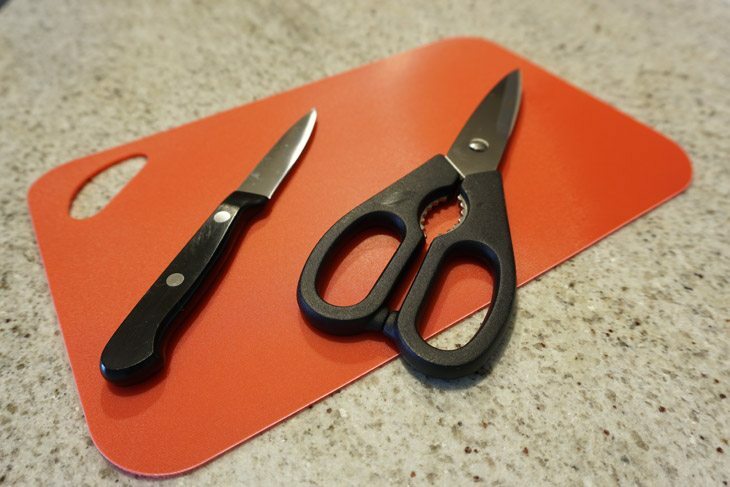 This is ideal for cutting into thin, dried, or small pieces of food. A paring knife is easily controlled for small cuts and incisions. This saucepan should be stainless steel for even cooking and to prevent any staining or corrosion cause from the peppers. Stainless steel is nonreactive and will not discolor from acidic ingredients. You could also use glass, or ceramic cookware as well. These have a surface coating that creates a nonreactive surface that won’t affect acidic foods. This blender should be of good quality and able to make purees. 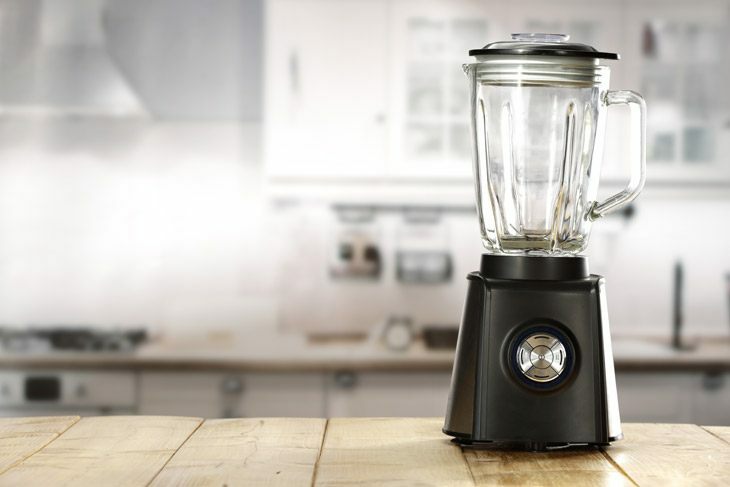 Most blenders are made of glass with steel blades and a plastic base. They come with many program settings, but for this recipe, you will need to be able to puree ingredients. You’ll need a strainer to pour the liquid through to catch any clumps of peppers or seasonings that didn’t blend all the way down. The strainer should be stainless steel so the acids from the peppers don’t create a reaction with the metal. Here you are. I knew you’d get here, and I know you’re ready to make the sauce. You’ve gathered the ingredients, right? It’s okay; I’ll wait here for you. Okay! Now you’ve got the ingredients, you have me, and you have your confidence. Let’s make some tasty chili sauce! This will take you about 5 minutes to prep and 25 minutes to finish. 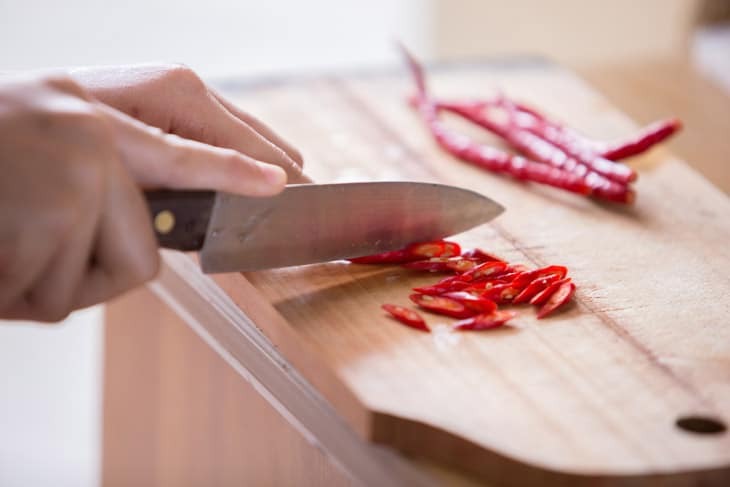 Take a paring knife and slice through the chili to create a lengthwise incision. Remove the stem and seeds from the pepper. Do this to three of the chilies, one at a time. Discard the stems and seeds, unless you would like to add some seeds to the final product for heat and texture. Try to remove all the veins from the chilies. Do not tough your face or rub your eyes until you thoroughly wash your hands. If you can, try wearing gloves while doing this step. Heat your saucepan on medium heat. Flatten out the chilies and lay on the bottom of the saucepan. Heat the chilies until warm, then flip them over and heat a little more. Do not toast or burn the chilies or you will have to start over. It’s not fun; you’ll have to wash the pans and everything. This step is to bring out the natural flavor of the dried chilies before reconstituting them. This enhances their flavor as well as the flavor overall because of the chili flavor on coating the bottom of the saucepan. Add enough water to cover the peppers. You don’t want to add too much, or you will drown out the flavor of the Ancho peppers. Bring the water to a boil and then remove from the heat. Let sit for about 10-15 minutes. The chilies will be plumped up and rehydrated. You could also heat the chilies separately, boil the water and then add the chilies to the water and let sit for 15-20 minutes until they are soft and plump. Place the chilies in the blender and set the water aside. Add in one large clove of garlic, two whole cloves crushed or ground, two crushed peppercorns, and salt to taste. Add in 1 ½ cups of cooking liquid, unless it’s bitter. If the cooking liquid is bitter, use regular water. Puree until smooth. Taste the sauce and adjust the salt accordingly. At this point, if you would like more heat, add in some seeds from the peppers. Strain the liquid into a saucepan. Add one tablespoon of olive oil to the puree. Bring to a simmer, then reduce to keep at a simmer. Cook for 10-12 minutes. Skim the foam off the top and use immediately or store in a jar for later use. Chili sauce doesn’t have to be intimidating; rather it can be fun, experimental, and exciting. You can make any version you want to, with any ingredients. Some people like a chunky sauce, while you may prefer a smooth sauce. You can use green chilies, red peppers, tomatoes, celery, and onions. The possibilities are endless! I hope you have enjoyed learning how to make chili sauce with me, and I hope you enjoy it even more! If you have any tips or tricks for your favorite chili sauces, tell me about them! I don’t think there are too many recipes to have for this condiment. It’s so versatile that you can change the ingredients and serve it with many different dishes as a different side!